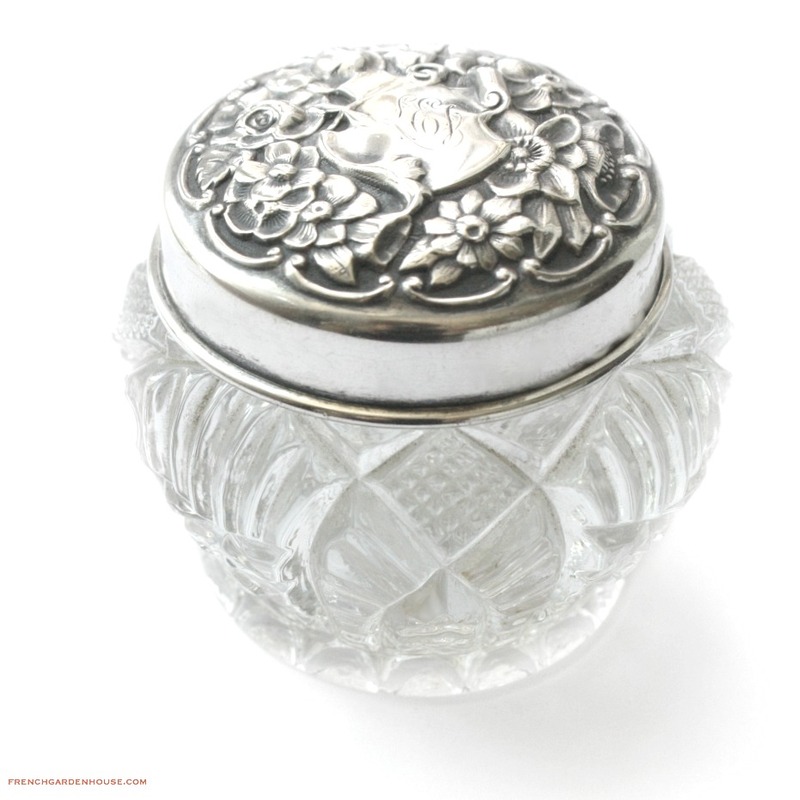 Glorious Antique Sterling & Pattern Glass Dresser Jar made by Simons Brothers, Philadelphia, Pa in the late 19th century. 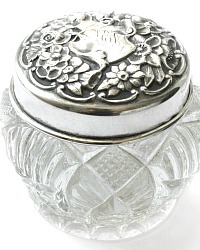 Beautiful jar is topped with a Sterling Silver lid, with a decorative Art Nouveau design of flowers and flowing leaves and vines, stunning! The very center has an ornate Victorian Monogram L E J, exquisitely and very masterfully done. 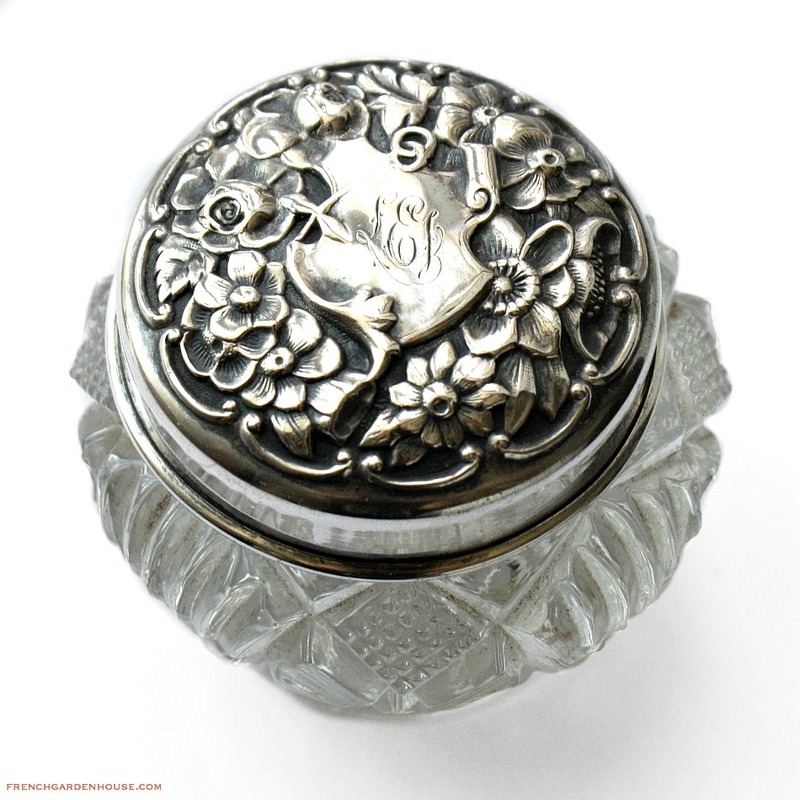 Simons Brothers was founded in 1839 in Providence, Rhode Island as a manufacturers of sterling silver thimbles and pencil cases. 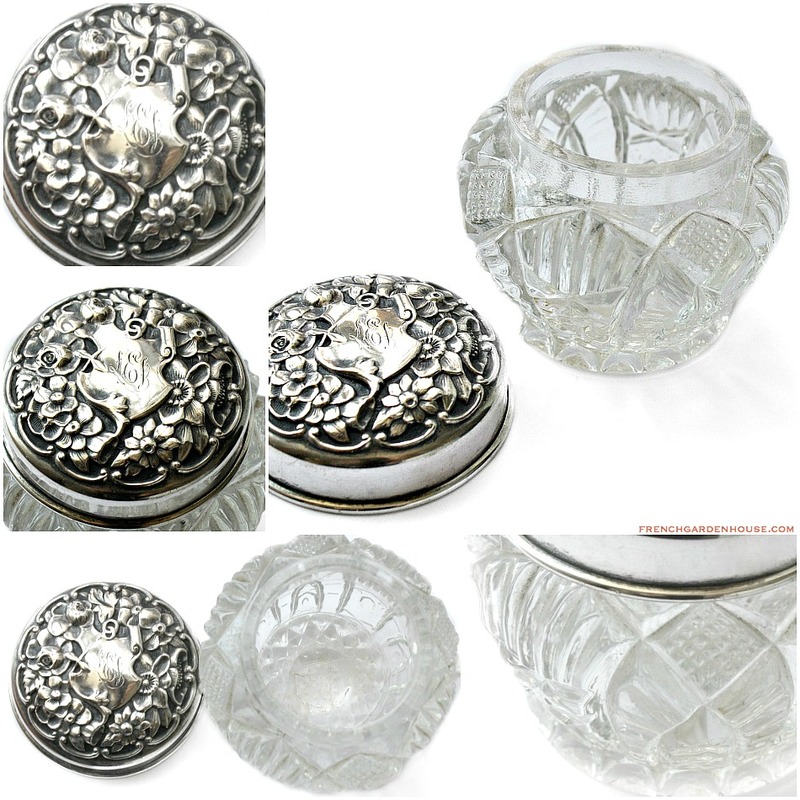 They produced luxury silver items for the Victorian quality clients. This is a beauty! Perfect to use on the top of your French Vanity to hold loose powder, your diamond earrings and jewelry, or even a little cache of sugar free candy on your nightstand. In good antique condition as shown.